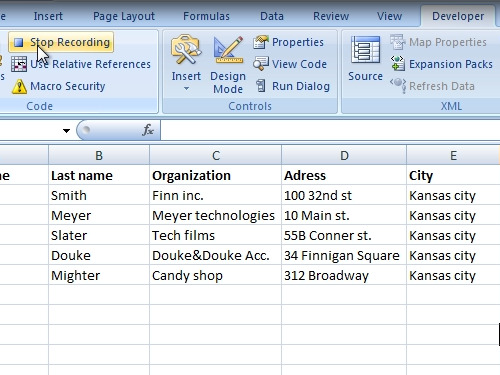 In this video tutorial we will show you how to open excel macro editor. 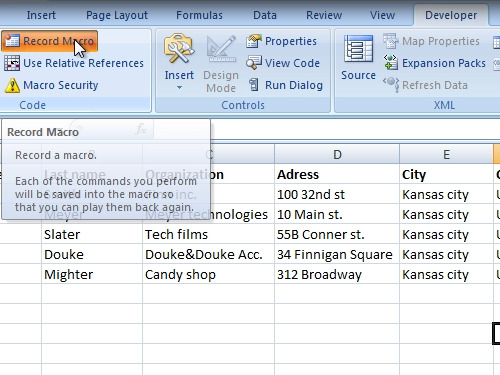 In order to open excel macro editor, open an excel document. 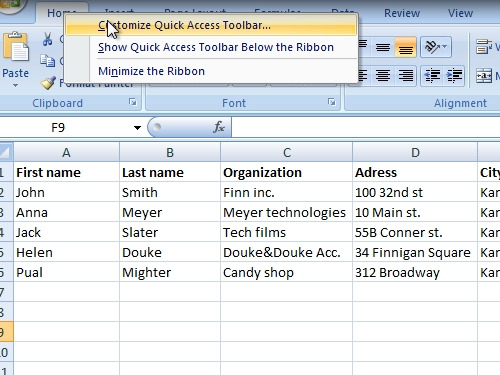 Right-click on the “Home” tab and choose “Customize Quick Access Toolbar”. 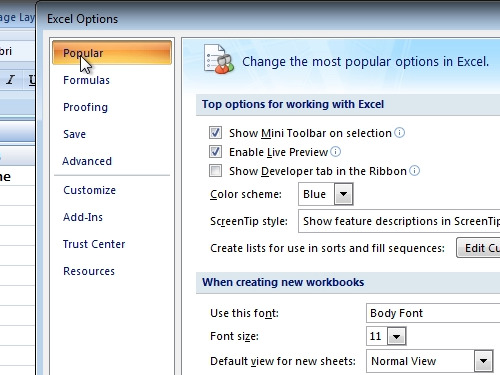 In the appeared excel options window, choose “Popular” tab. Check “show Developer tab in the Ribbon”. Now, go to the “Developer” tab. Click on “record macro”. In the appeared window click “ok” to start recording. When finished – press “Stop recording”. To use macro, press “Macros”, choose a macro to use and click “Run”.